A renewed application for a housing development in the shadow of one of Deeside’s most iconic hills has received more than 400 objections. 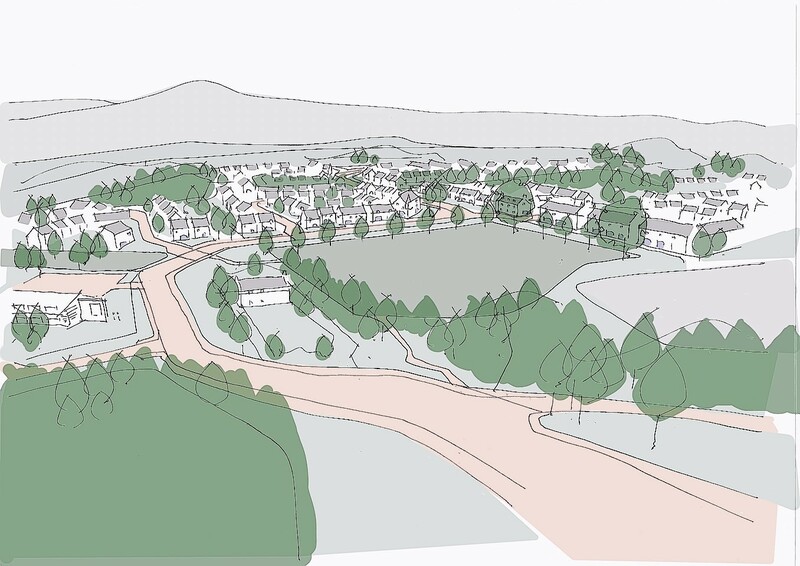 The plans for 300 homes near Scolty Hill at Braehead, south of Banchory, were submitted to Aberdeenshire Council last month and have already attracted 437 letters of protest. An earlier draft of the proposals for 400 homes was rejected by councillors last year. The fresh plans are for 200 homes for private rent, 75 affordable homes and 25 assisted-living apartments, a new stop-off point for the Deeside Way and land for a new school or community centre. Developers Sandlaw Farming claim the plans would help alleviate the local authority’s demand for affordable housing – with some 14,000 people on its waiting list for council housing. However, this has been disputed by local residents in the Deeside town with more than 500 people objecting to the earlier version of the plans. A spokesman for Sandlaw Farming said: “It is an issue here about the need for homes in Aberdeenshire, homes that people can afford. “This is an opportunity for Aberdeenshire Council, and the new administration in particular, to work towards the policy of providing homes. “We understand there are a lot of people who don’t want this development here, but we also know there are a lot of people who need homes in the area. However, Mike Adams – spokesman for the Stop Scolty Redevelopment group – maintained that if the proposal was approved, it would pave the way for further developments in an untouched area of Deeside. He added: “The Sandlaw Farming proposals fly in the face of the strategic and long term plans for the area. “If more homes are needed, over and above the development plan allocations, then these need to be focused to the strategic growth areas near the industrial centres and transport links. “In addition, approving this application would open the flood gates for a complete urbanisation of the land south of the Dee, between Scolty Hill and the Falls of Feugh. “The developer submits application after application and, every time, the community objects en masse.